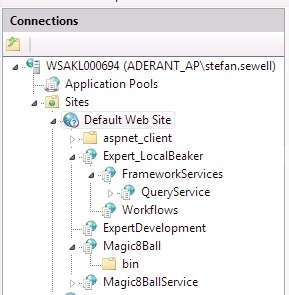 Following on from the previous post, it’s time to look at one of the more sensitive areas of AppFabric… the IIS configuration. 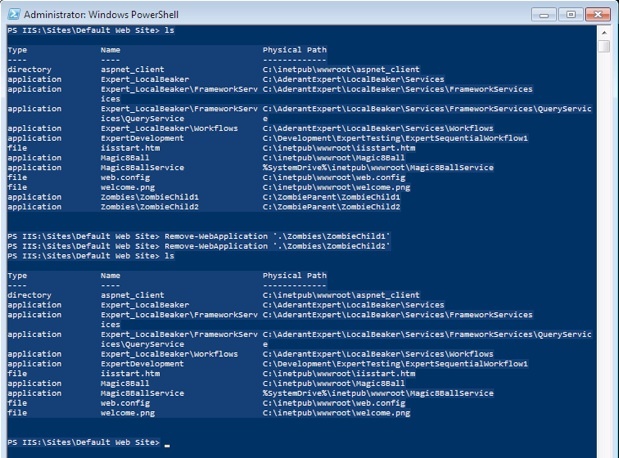 When you run many of the AppFabric configuration commands via Powershell or the IIS Manager, the result is a change to a web.config file. IIS configuration is hierarchical with settings being inherited from parent nodes as we saw with connection strings. The implication of this is that when determining the correct settings for a web application, a series of configuration files are parsed. An error in any one of these configuration files can lead to a broken system. The event logs mentioned in the previous post are a good place to look for these errors, the offending configuration files will often be named in the log entry. A common issue on a development workstation is the configuration getting left behind due to poor housekeeping. For example, you map a folder into IIS as a web application, this folder contains other subfolders which in turn are also mapped as web applications. If you remove the parent web application without first removing the child applications then the child configuration remains. 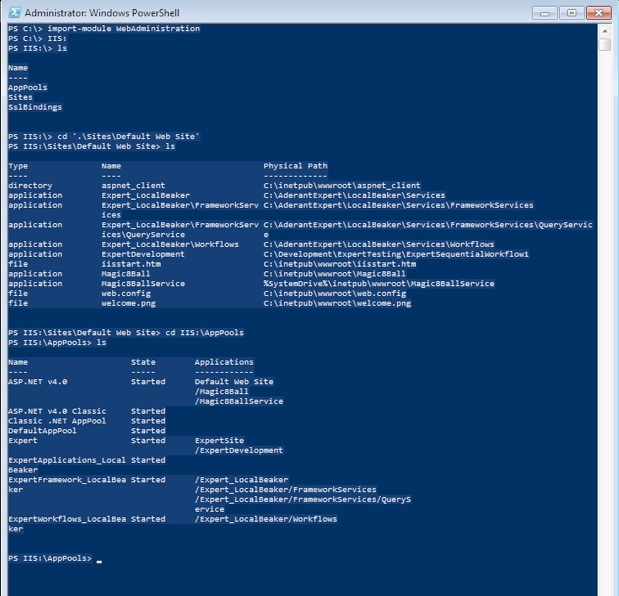 It cannot be seen via IIS Manager as there is no way to reach it, however you can easily see it through Powershell. One of the many awesome features in Powershell is the provider model which allows any hierarchical system to be navigated in a consistent way. The canonical example is the file system, we are all used to: cd, dir, etc to navigate around. Well, these same commands (which are actually aliases in Powershell to standard verb-noun commands) can be used to navigate other hierarchies, for example IIS. 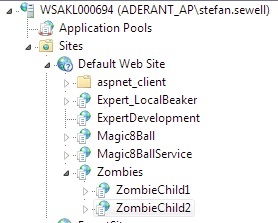 In IIS Manager we no longer see the ZombieChild1 or ZombieChild2 web applications that we can still see via Powershell. I’ll mention another gotcha that tripped me up… case sensitivity. IIS allows you to promote a physical path, to a virtual directory, to a web application. E.g. Here we created a new physical directory under the wwwroot folder and then mapped a virtual directory to this location but used a name of Test rather then test. When we get-childitem and we see two entries: ‘test’ for the physical path and ‘Test’ for the virtual directory. Then we remove the virtual directory but it is not deleted and no error is reported. 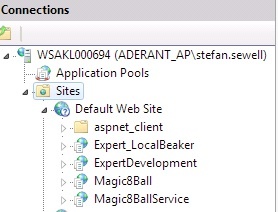 This caused a heap of confusion for me when automating our deployments so beware of case! This has been raised with Microsoft as an issue. I found that the ConvertTo-WebApplication cmdlet worked for my needs without the case issues.